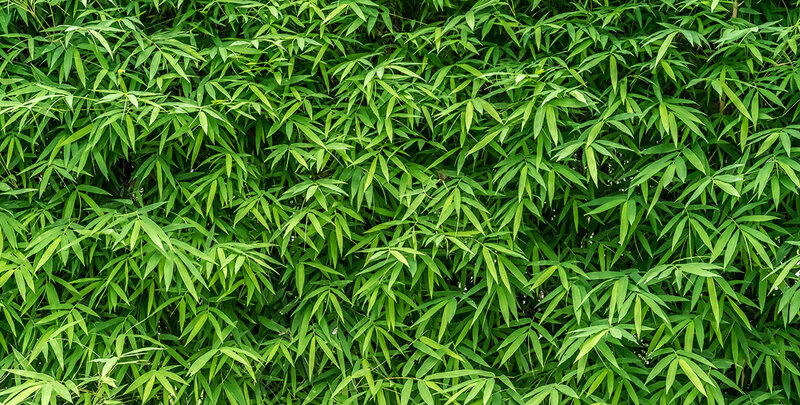 The beautiful, exotic and elegant bamboo is unlikely to be directly associated with hedging, but there are several types of bamboo that are ideally suited for hedging purposes. Bamboo is known to be an extremely fast-growing, hardy and strong evergreen plant. The best varieties for average garden hedges are clump-forming, have copious leaves, grow tall – though not excessively so – and form a dense. Umbrella bamboo (fargesia murielae) and fountain bamboo (fargesia nitida) meet these ideal requirements and are widely used for their excellent qualities as hedging plants. Many other bamboo species have a tendency to grow rampant and that is of course an undesirable quality for a hedging plant. The aforementioned two species will certainly not give your neighbours the unpleasant surprise of an unwanted bamboo plant in their garden. One of the prime advantages of bamboo compared to other types of evergreen hedges is its growth rate. It is widely known that bamboo is an extremely quick grower, as many varieties have an average annual growth of up to 75 centimetres. There are some exceptions, however, such as the fargesia murielae ‘Simba’, which grows around 40 centimetres per year. Modest, but still respectable compared to other common hedging plants. 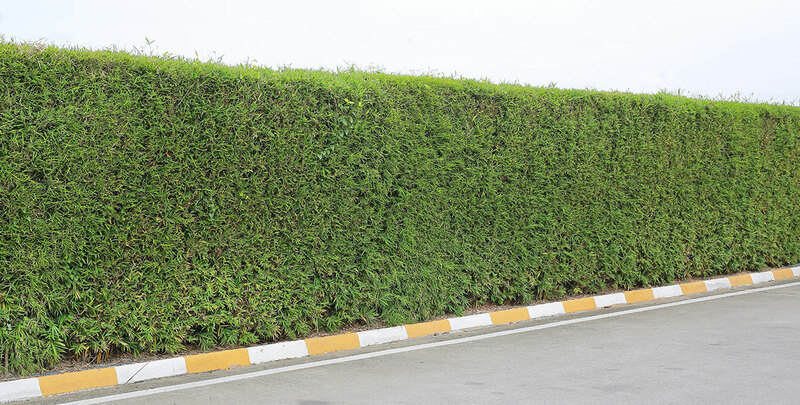 Moreover, ‘Simba’ hedges tend to stay relatively small and do not exceed 2 metres in height. The majority of bamboo varieties that lend themselves for hedging can grow up to 4 metres tall, depending on the conditions. In addition, bamboo hedges have an appearance that add a flair of Far Eastern mysticism to any garden. When bamboo is mentioned, most people immediately think of East Asia. This makes a lot of sense, because while bamboo plants can be found almost anywhere these days, they most likely originate from China. To this day, bamboo is widely used as construction material in the Far East, as it has a high strength-to-weight ratio and is therefore very useful for building various structures. It is also an important food source, although most unprocessed bamboo parts are poisonous to humans. The culinary use of bamboo is not limited to actually consuming parts of the plant though, as the plant is also used to manufacture kitchen utensils and chopsticks. Bamboo is traditionally a very useful and versatile raw material that can be applied for many different purposes. Keeping this in mind, it is not very surprising that bamboo is so commonly associated with the Far East. For those who are looking to add a distinctly Asian atmosphere to their garden, a bamboo hedge is an excellent choice. 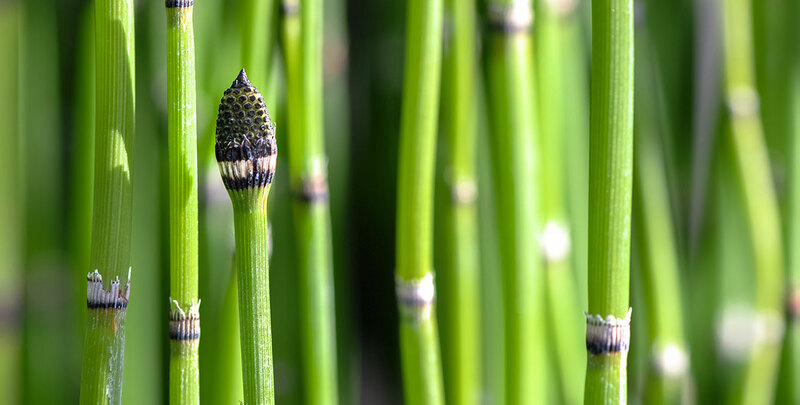 The unique form of bamboo stems and leaves will certainly add a magical and mysterious atmosphere to your garden, which is sure to make it stand out. The fact that bamboo hedges are not yet very common naturally contributes to that as well. In addition, the rustling of bamboo leaves in the wind even has a somewhat meditative effect. Simply put, for a garden with a contemporary, peaceful character, there is no better choice than a bamboo hedge. After you have planted your bamboo hedge, it will usually take no more than a couple of years for it to reach its ultimate height. Due to its annual growth, it is possible to buy smaller plants without increasing the time you will have to wait. This makes bamboo a rather inexpensive option for hedging purposes. The plants should be planted with no more than 2 to 3 centimetres of soil on the surface of the clump, so be careful not to dig too deep. Bamboo is very tolerant of shade, yet it is best to plant your bamboo hedge in a place that is not too shady. A moist or normal soil in the sun or dappled shade is ideal. Dry soils should be avoided. Fertiliser is optional, but it will certainly stimulate its growth, as bamboo is hungry for nitrogen. Ideally, bamboo is planted during springtime or in the summer. Be sure to keep your bamboo hedge well-watered until established, as it may take some time for it to fully settle. Once established, bamboo hedges are very loyal and quite easy to maintain. Bamboo canes and leaves will create a neat, tall and dense screening hedge. Many varieties of bamboo have a reputation for being invasive, but if you choose your bamboo wisely, there is no need to worry. Fargesia mureliae and nitidia, for instance, are clump-forming and do not need a rhizome barrier to control the roots. Bamboo can be pruned annually if desired and tolerates rigorous pruning, even down to ground level if necessary. Flowering is famously irregular and infrequent. While bamboo is commonly associated with East Asia, growing a beautiful bamboo hedge is far from problematic in Europe. 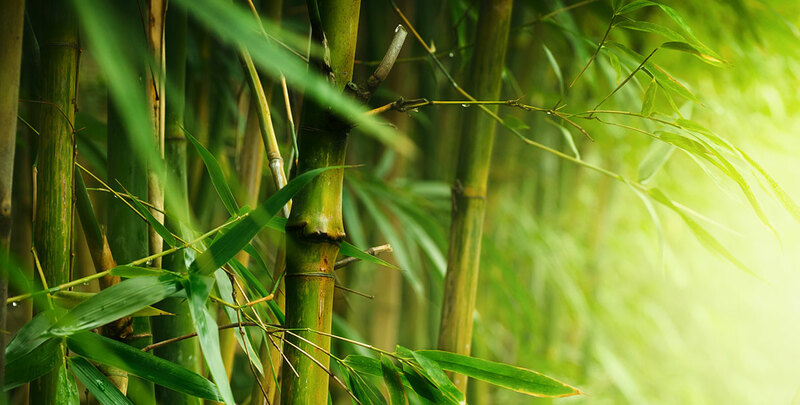 Due to its rapid growth, bamboo is more suitable for hedging purposes than many people think. Not every species of bamboo is a convenient hedge plant though, as some of them grow so fast that they are known to push up paving stones, but when you select your bamboo species carefully, they will remain loyal to you and your garden for a long time with relatively little maintenance. Should you consider growing a bamboo hedge in your garden, we strongly recommend that you buy a species that grows from one point, so it will not give your neighbours an unpleasant surprise or push up paving stones. These bamboo species will nevertheless form a dense hedge which is perfectly suited for gardens with a modern character. All types off bamboo listed here on HedgesOnline are safe to use!